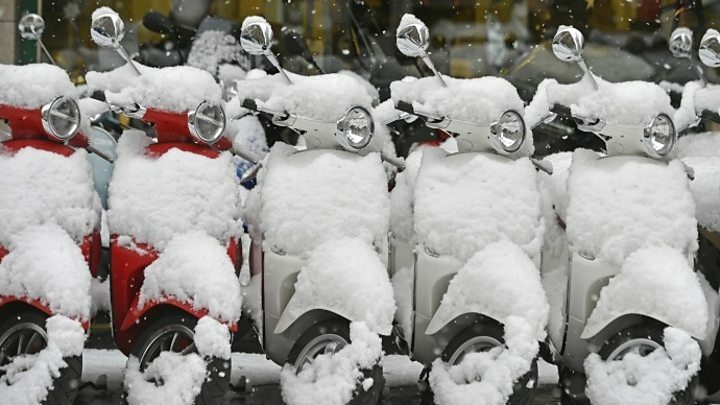 There was a let-up in the weather on Friday ahead of expected further snowfalls on Saturday night. However, some 90 flights were cancelled in Munich while some flights in Frankfurt were also hit. 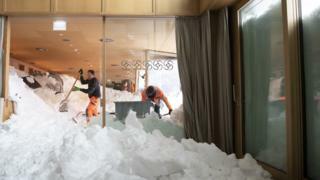 Rescuers searched the area on Friday in case anyone near the Hotel Säntis had been caught up in the avalanche. Cars were left buried in the snow and even a bus was left partly submerged. One guest in the hotel restaurant said that initially he thought snow was falling from the roof. "There there was a gigantic noise, and the back area of the restaurant was engulfed in masses of snow," the guest told Tagblatt. Some hotel guests were taken to safety on Thursday night and the remainder were moved on Friday, Swiss reports said.